“Cihad-i Sultan Suleyman ber Iklim-i Rumili” whose poet is unknown according to the records and catalogues actually belongs to Levhi Efendi. It is about the Hungarian, Belgrade and Rhodes conquests. Mahü mentioned in one of his works that he wrote a mesnevi called “Şehname-yi Humayun” of seven thousand couplets. Ahdi confirmed the existence of Mahfi’s “Şeh-name” in his works, too. Mahremi’s “Suleymanname” consists of ten thousand couplets. It is about the period between Suleyman’s ascent to the throne and his campaign to Baghdad. The same poet wrote a second mesnevi about the campaigns and conquests of Beyazid II. “Fetihname-i Sefer-i Zigetvar” was written by a poet called Merahi. This mesnevi by Merahi which includes eulogies for Suleyman the Lawgiver and Sokullu Mehmed Pasha is the story of the last battle campaign of Suleyman the Lawgiver, Zigatvar (974/1566). Another very long mesnevi of four thousand five hundred couplets on Suleyman the Lawgiver was written by Sena’i. A copy of it, inlaid with gold, was made in 947/1540. Feth-i Kal’a-i Nova” (The conquest of the Castle Nova) is one of the mesnevis of the second group of historical ones which tell us about various-significant personalities around the Lawgiver Sultan, fighting and endeavoring for him and for the empire. “Feth-i Kal’a-i Nova” is about the conquest of Nova Castle under the high command of Barbarossa Hayr-eddin Pasha in 946/1539. The same poet, Muradi, wrote another mesnevi about the battles of Barbarossa (died 953/ 1546) and his brother Oruc Reis called “Fetihname-i Hayr-eddin Pasha.” Written in 930/1524, this mesnevi is made up of ten thousand couplets. “Fetihname-i Kal’a-i Cerbe” written and completed in 967/1560 by Nidai is about the victory won by the navy of the Ottoman Empire on the North African coast against the Christian fleets. 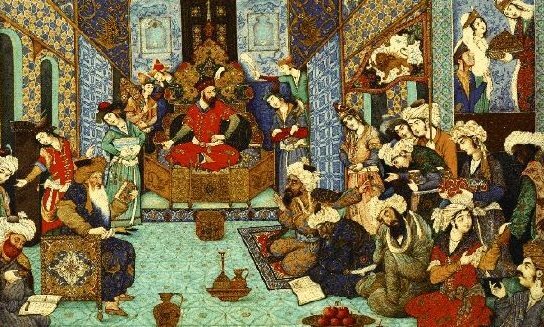 As far as we know, the poet of the mesnevi written on the adventures of Suleyman’s great sea commander Si-nan Pasha was Galatali Hayreddin Celebi (died 980/1573) whose penname was Nigari. This poem tells us about the victory Sinan Pasha (died 961/1554) won over the Spanish Armada during the conquest of Trablus Garb. Also, “Luc-cetu’l-Ahyar”by Yetimi (died 960/1552) is about the battles of Barbarossa and his brother Oruc Reis.